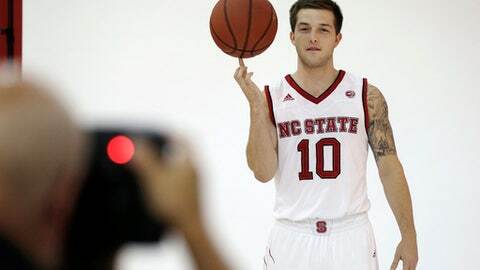 RALEIGH, N.C. (AP) The NCAA has denied North Carolina State’s appeal for immediate eligibility for freshman guard Braxton Beverly. The school announced the NCAA’s decision Monday, more than two weeks after the NCAA had turned down the school’s initial request. The issue centered around the fact that Beverly initially enrolled at Ohio State and took two summer courses before an unexpectedly late coaching change led him to obtain his release and join the Wolfpack by the fall semester. Taking the classes triggered the NCAA designation that Beverly was an undergraduate transfer – which meant he had to sit out a year before playing elsewhere – as opposed to being considered an incoming recruit. The 6-foot guard from Hazard, Kentucky, can practice and will have four years of eligibility, starting with the 2018-19 season. But the school suddenly fired coach Thad Matta on June 5 and later hired Butler’s Chris Holtmann. Beverly then received his release and signed in July with N.C. State. Beverly, considered a three-star prospect, would have provided 3-point shooting and backcourt depth with Keatts installing an up-tempo scheme with pressure defense this season. N.C. State announced Oct. 13 that its initial request for Beverly’s eligibility was denied, and it appealed that decision 10 days later. N.C. State athletics spokesman Fred Demarest confirmed through the school’s compliance department that Ohio State and Matta had supported Beverly’s request to the NCAA for immediate eligibility with the Wolfpack. This story has been corrected to show Beverly signed in July, not August.